Marché Central shopping information – detailed hours of operations including black Friday and holiday hours. Look at great selection of outlets and factory stores located in Marché Central. Coupons, sales and reviews from customers. 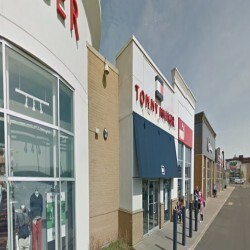 Mall locations: Montréal, Quebec. Phone: 514 381-8804. Number of stores in Marché Central: 56. Don´t forget to write review about visiting the Marché Central. Bus 19 – Chabanel/Marché Central, which travels between the metro station Crémazie and the Centre, Monday to Friday, from 8:20 p.m. to 12:45 a.m.
Shopping is stress-free at Marché Central! There are more than 4,000 free indoor and outdoor supervised parking spaces available to customers. Outdoor parking: You'll find more than 3,300 spaces conveniently located close to your favourite stores, including a number reserved for customers with reduced mobility. Indoor parking: Marché Central has more than 600 indoor parking spaces, spread over two levels – ideal for Best Buy, Cinéma Guzzo Marché Central and Brick customers. You can access this parking area from three entrances: via Marché Central Street, Beauharnois Street or the parking area in front of Best Buy. Help outlet shoppers and write a review about shopping in Marché Central and rate this location!